I'm excited to share my second week of progress in Owen's room for the One Room Challenge! Together, Owen and I are transforming his room from a dumping ground into a sweet room that he will love spending time in. Get caught up with the details from Week One here. I'm doing all of this in real time, so this should be an interesting experiment. If DIY were an olympic sport, extreme planning and energetic execution of said plans would not be my event. I'm a procrastinator and a winger, and I specialize in pulling out a last-minute finish. So my strategy is to make a master to-do list and knock off as much as possible each week. Over the weekend I took down the curtains, broken blinds, and all related hardware. Seeing the stained chair frame against the blue desk makes me giddy. 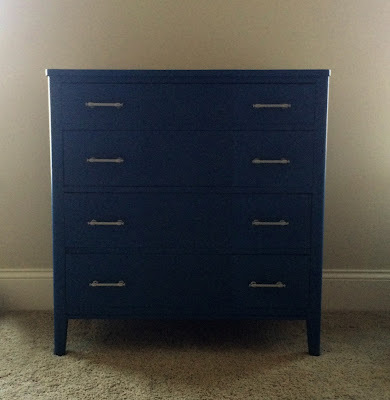 The dresser and night stand have midcentury lines, so I'm moving in that direction (twist my arm!) by giving this chair to Owen to use with his desk. That's the color I'm going for on the stained wood-planked wall. It'll look so warm and rich! I'd like to tackle the wood wall or the painted walls next. Everything after that is small projects, which can be tedious, and can eat up a lot of time. I have a lot to do, and as luck would have it, I'm spending the weekend in Detroit. I'll have to knock off some of these things before I go, or early next week! Be sure to check in with Linda at Calling it Home for all of the One Room Challenge inspiration you can handle! Great progress Colleen - we too are doing the ORC in real time and we have already learned a great deal LOL. Love that blue - so pretty. Cheers to a great week! Colleen I adore the direction that your room is headed towards! You did SO much better than I did in my room this week. I'm winging it too Colleen! 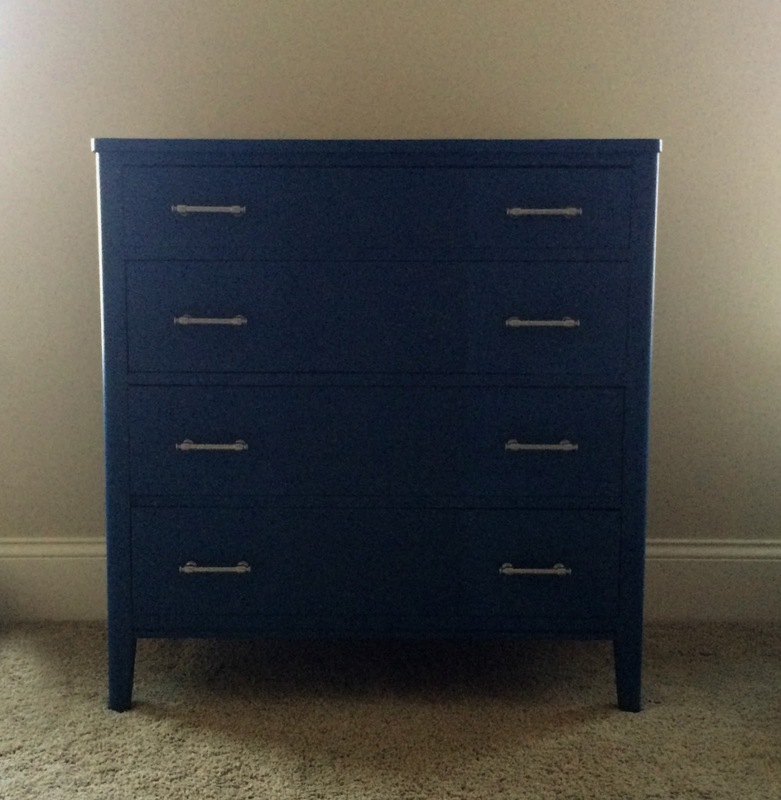 I love the navy on the dresser! And Owen has good taste on the hardware!